fell in love with the musical life from a childhood, professional approach began in 2008 . Collection of vinyl plates was first in Lounge & Downtempo styles. Next it have turned into music Techno, Dub, and the Deep. The unusual and atmospheric vibes, Lusse adds her love of Indian melodies, ethno instruments and original sound. All her life is in training design and thirst for beauty and nature. 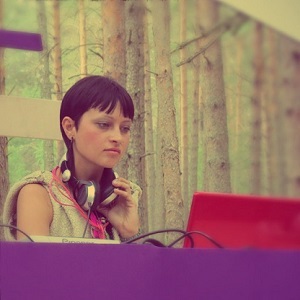 She is always take attention to music education and self-development in the industry of DJing and music skills. LuSSe was traveling through Asia , Indonesia long time, and got a lot of good moments from there and turned it into the music scene. LuSSe now playing in clubs and festivals native city – Moscow. It is the native home of refuge and where she collected many connoisseurs and lovers of her style and sound.